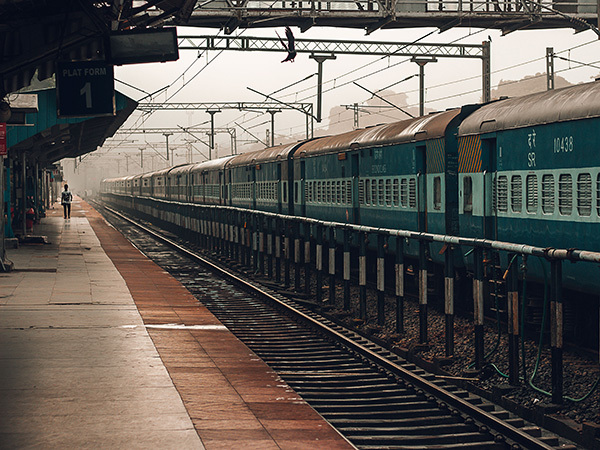 Train travel in India can be a little intimidating for people who are not at all familiar with the enormous labyrinth of Indian Railways connecting a myriad of cities and townships. Years before the growing popularity of flights in India, most people traveled (and still travel) by train. From waking up to the familiar cries of "chai-coffee" in the mornings to squabbling with your sibling to sleep on the upper berth, the endless train rides with its friendly co-passengers and not-so-aseptic lavatories is an adventure in itself. The 19th century establishment has not changed much since, and here are a few survival hacks to survive a long train journey in India. If this is your first time travelling by the Indian railways you would be much startled as well as confused with the hospitality and friendliness of your co-travellers. Indians are known to be a curious and friendly community, so if you expect people to mind their own business then let us assure you that there is a very less chance of such occurrence. From casual conversations of where you are travelling to, to sharing food and interesting stories, in no time by the end of your journey, you will realise how comfortable and friendly you got with your co-passengers. Hundreds and hundreds of coolies swarming the stations and platforms of the Indian railways are the helpful and licensed luggage carriers. The coolies are very easy to spot as all of them are dressed in bright shirts which happens to be their uniform. These licensed luggage carriers help you with your heavy luggage and carry them all the way to your vehicle in exchange of a charge. Make sure you decide and bargain on the quoted price made by the coolie, as in some cases, they tend to thug and overcharge passengers. Imagine the horror of losing your luggage on your way to the desired travel destination. A nightmare right? To avoid such inconvenience, always try to chain your luggage to the links that are attached under your train seats and ensure that it is safely locked. Always better to be safe than sorry so you do not wake up to a nasty surprise of your belongings all gone and missing. Don't be surprised if the train tickets are fast filling or unavailable if you check tickets a few days before the trip. During the festive seasons and peak holiday seasons, the tickets may not be available unless you boom them around 3-4 months prior to the trip. If you want to cancel these tickets, you can do that later and have the amount refunded, deducting a nominal cancellation charge. If you're travelling a long distance, it is better to go for AC coaches, so that the climatic changes outside and the dust does not affect you much. The AC coaches are closed and will be cleaner than the general compartments. However, if you are looking for a real Indian experience and to know how a typical Indian travels daily by train, choose the general compartment. These compartments are generally crowded and noisy compared to the AC coaches. Have a book in hand and enough water and snacks with you, so that you don't get bored in case the train arrives later than the scheduled time. Though the toilets are neat in the trains, do not expect them to be as good as the ones in luxury hotels and restaurants in India. Apart from these travel tips, ensure that you are safe and do not disclose any of your personal details to the strangers who travel with you. Have a happy and safe train journey!